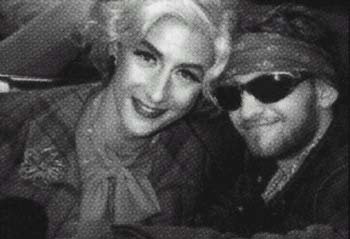 No other pairing in rock music history, with the exception of Lennon and McCartney has ever endured as much misconception and speculation as that of Layne Staley and Jerry Cantrell. 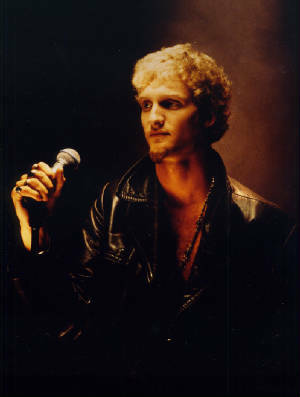 From the time they were first introduced in 1987, until Layne's passing in 2002, the chemistry between the two musicians, whether positive or negative, was incredibly explosive and completely undeniable. 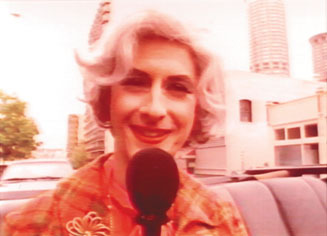 There have been many disputes over the years concerning which of the two most fans feel was the central musical core of Alice in Chais. To this I reply: they BOTH were. 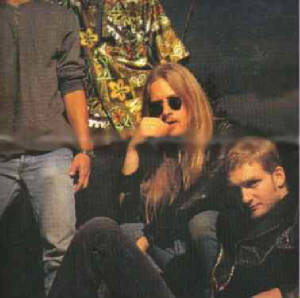 Jerry & Layne had an expressly unique musical relationship that could be definated as being almost symbiotic, in that in order for the band and for each of the vocalists to perform and function properly together as a whole, two of the most vital and important parts of that whole had to be in good working condition. 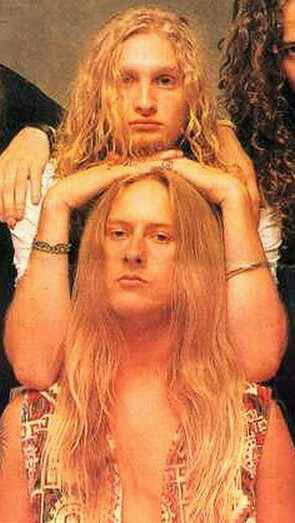 And obviously, as Layne struggle continued to escalate, the wholeness began to break down, crack, and almost disintegrate. 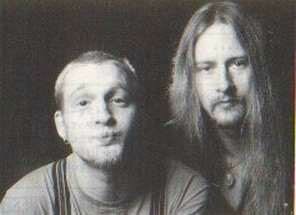 But my point is this: without either Layne or Jerry, Alice In Chains probably would have been nonexistant. And the lessons that they have passed on to us fans over the years through their music would not have had a chance in hell of being looked upon and learned from. IT SHOULD NOT MATTER what may or may not have actually gone on between the two of them. That is their buisness and their business alone. What does matter is that these two individuals, along with Sean Kinney, Mike Starr and later on Mike Inez, came together to create something truly beautiful and one of a kind. And for that, we should all be grateful and thankful. Jerry makes a good headrest.